Noriake Abe, Chief Operating Officer for Regional Operations (Asia & Oceania). 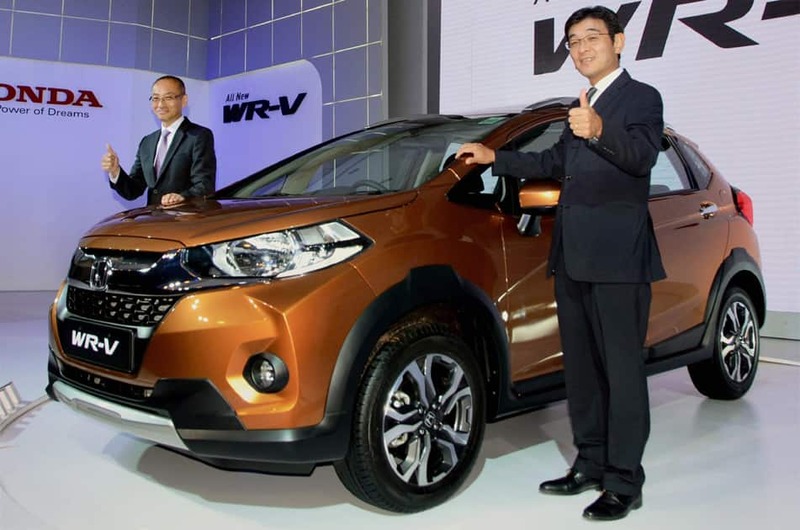 President and Director of Asian Honda Motor Co., Ltd. and Yoichiro Ueno, Chief Executive and President of Honda Cars India Ltd during the launch of WR-V car in New Delhi. 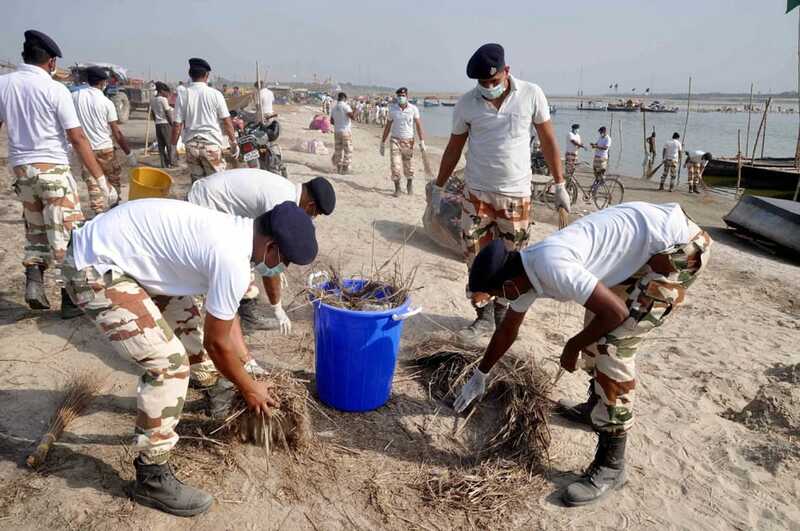 Rapid Action Force (RAF) personnel take part in a cleanliness drive during inauguration of ”Ganga Swachhta Pakhwada” at Sangam in Allahabad. 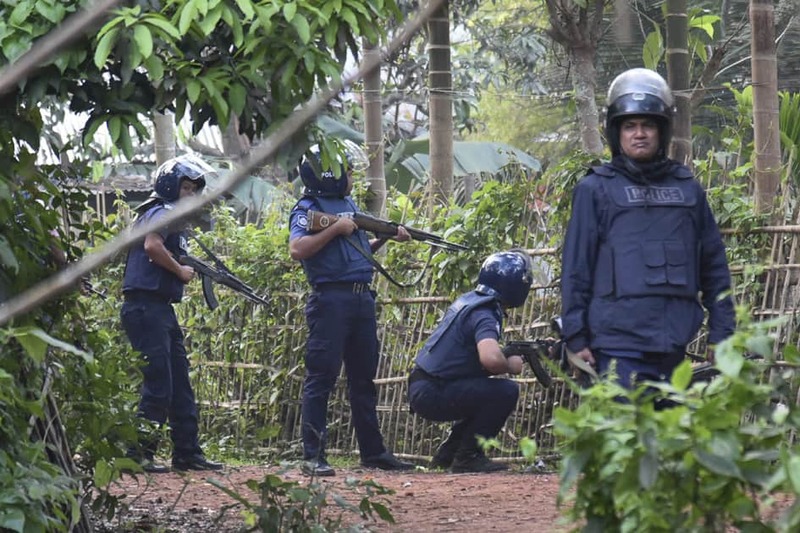 Bangladeshi policemen cordon off the area during a raid on a building where suspected militants were holding up, in Sitakunda in Chittagong district of Bangladesh. 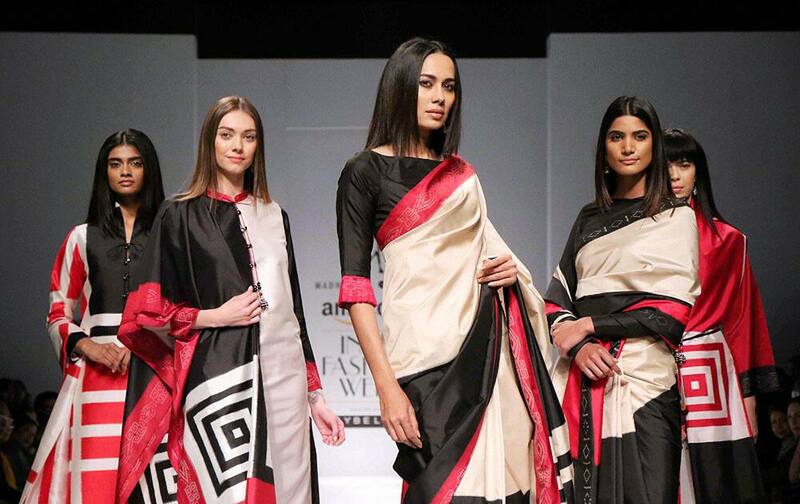 Models walk the ramp during India Fashion Week 2017 in New Delhi. 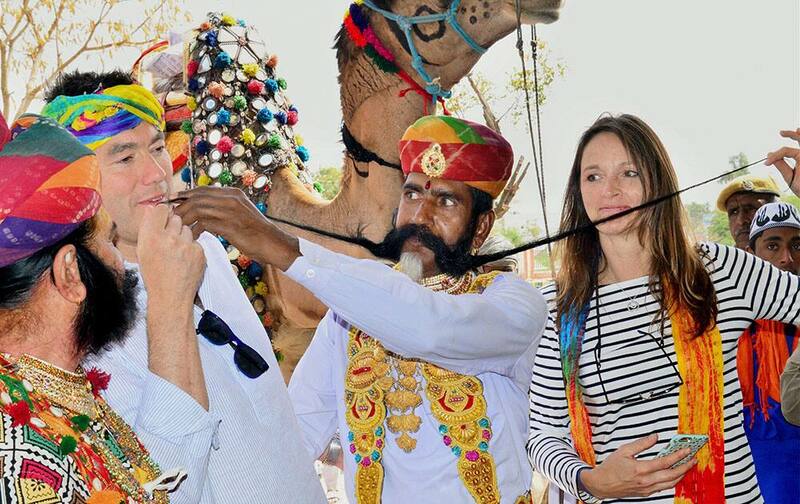 A Rajasthani artist showing his long mustache to entertain tourists travelling by Maharaja Express train in Bikaner. 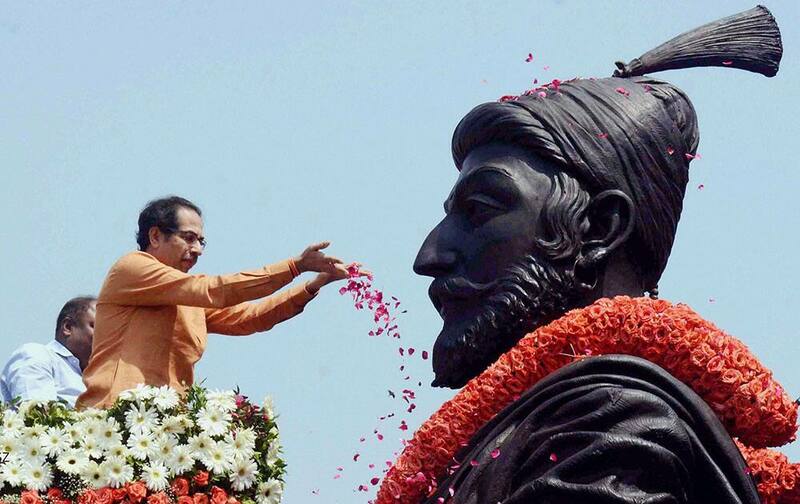 Shiv Sena President Uddhav Thackeray pays tributes to Chhatrapati Shivaji Maharaj on his birth anniversary in Mumbai. 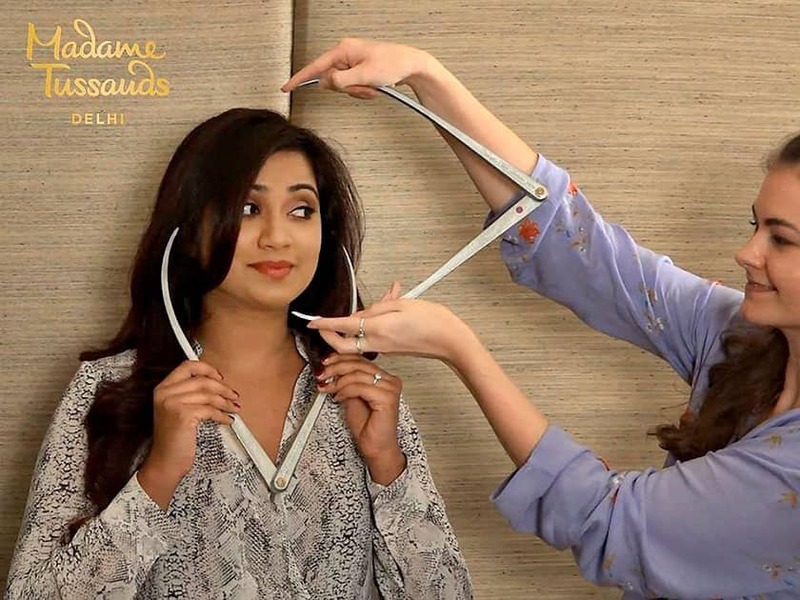 Bollywood singer Shreya Ghoshal at a sitting for her upcoming wax statue at Madame Tussauds in New Delhi. Policeman trying to stop INLD members during their protest march Gherao the Parliament as they sought the intervention of PM Narendra Modi on the SYL canal issue. 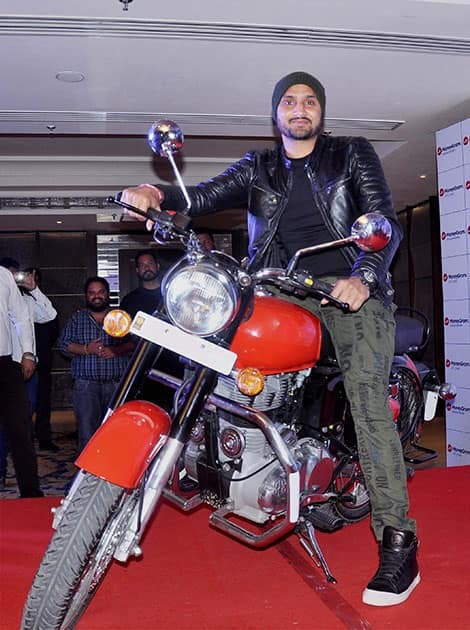 Cricketer Harbhajan Singh at the announcement of ‘Vaisakhi 2017’ campaign in Jalandhar.